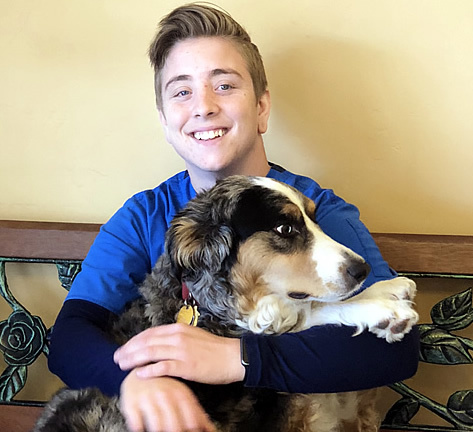 AspenTree has been providing quality compassionate veterinary care for the dogs and cats of Durango since the spring of 1997. 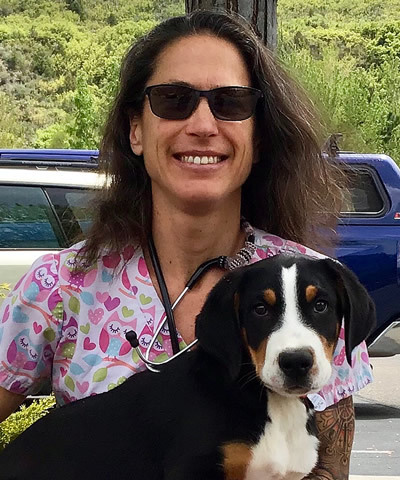 Proudly led by Becky James, DVM, our team provides full service veterinary care - medicine, surgery, and dentistry - for all stages of your pet's life. We strongly believe that although they have 4 legs, our pets are true family members and should be treated as such - with the best in loving care. AspenTree is also deeply dedicated to preventing pet overpopulation, and works closely with both the local feral cat "catch-neuter-release" program, as well as Dogster's Fund/D'Snip spay and neuter program, a not-for-profit organization. D'Snip provides funding for less fortunate pet owners who still wish to "do the right thing" and alter their pets. 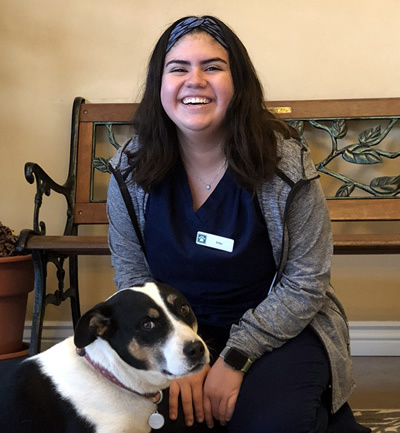 AspenTree is available for your pet's health care needs Monday through Friday from 8am - 5:30pm and provides emergency services 24 hours a day. 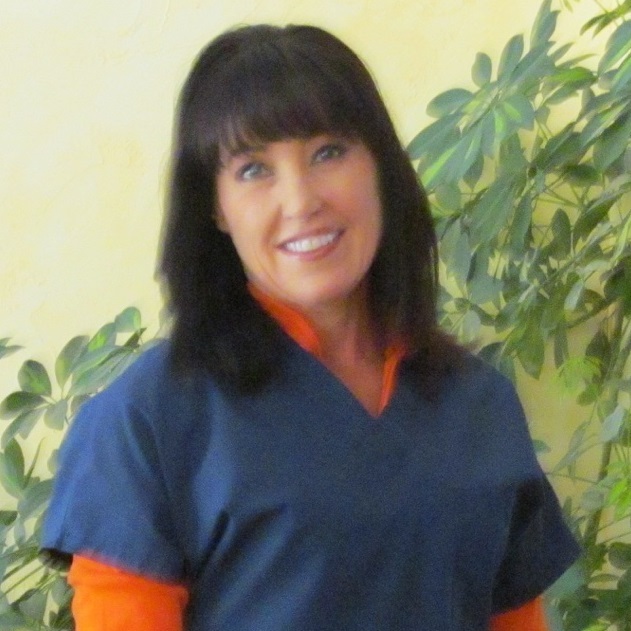 Dr. Becky graduated with honors from UC Davis School of Veterinary Medicine in 1991. She practiced at a mixed animal practice in Jackson, California for 6 years before moving to Durango and establishing AspenTree Animal Caring Center in 1997. She loves running and hiking with her 3 dogs Baxter, Mirabella Rose, and Bravo, and looking after her 2 horses Amigo and Gracie. Dr. Jennifer Deming is a 2002 graduate of Colorado State University School of Veterinary Medicine. She Practiced in her native state of oregon for 10 years before relocating to Durango with her college sweetheart and 2 children. Professional interests include ophthalmology, nutrition, analgesia/anesthesia, and soft tissue surgery. When shes not at the clinic Dr. Jenn enjoys trail running, gourmet cooking, hiking, and enjoying all things Durango with her family - including cats Fujita and Toonces, and dog Leia. 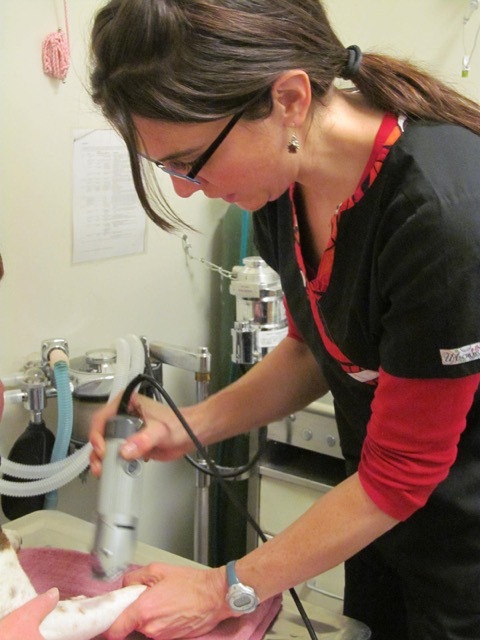 Dr. Heather Perkins graduated from the VA-MD Regional College of Veterinary Medicine in 2001. Heather’s first job was in a mixed animal practice in Northern California treating everything from pocket pets and small animals to pigs, goats, cows and horses. Years later her path would take her to primarily small animal practice in Durango. 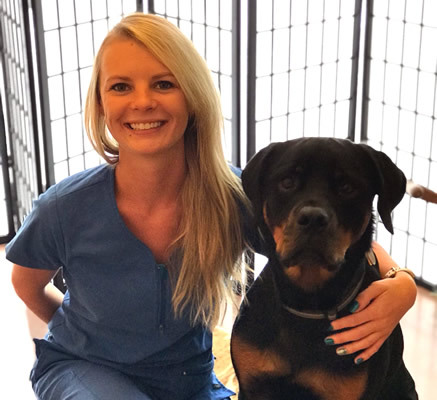 Dr. Heather is certified in Traditional Chinese Veterinary Medicine and enjoys treating animals using a combination of eastern and western medicine for a holistic approach. She also provides cold laser therapy as an adjunctive treatment for most of our pets’ ailments. Heather enjoys rock climbing, snowboarding, running and hiking with her two dogs, biking and spending time with her husband and son. I grew up in Oregon in a ranching environment. I moved to Durango about 10 years ago and liked it enough to keep coming back. I have a great family with both 2-legged and 4-legged kids, and since everyone loves Durango we have decided this is where we want to be. Of course, I love animals of all kinds and can't imagine working anywhere else. I graduated from the Bel-Rea Institute of Animal Technology in 1992. I have been with AspenTree since 2001. I have been doing this for a pretty long time and still enjoy what I do very much. Animals give us everything unconditionally. They deserve anything and everything we can do and give to make their lives complete and filled with unconditional love in return. When I am not working I fill my time with my own animals and family. I have several four legged children and a little boy. We love being outdoors often with most of what we do. My husband and I love teaching and showing my son things about all animals. Seeing his love of animals grow makes me feel very complete. I am new to Durango, moving here with my husband in February 2011. I grew up in Tomball, TX, where I managed a veterinary clinic for the past 8 years. I graduated from Texas A & M University in 2000, with a degree in Anthropology. However, my love of animals made me better suited for life in a veterinary clinic. I love it! I have 2 kitties with me in Durango, and a menagerie still living with my parents in Texas. Eventually, with a big enough house (and a willing husband) I would love to have them all here with me! I am from Durango and have lived here almost all of my life. I moved away to Florida for 4 years to pursue my passion to work with animals and am very happy to be back in Southwest Colorado. 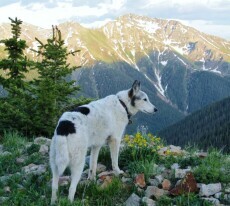 I enjoy hiking with my dog Puck as well as biking and snowboarding. Kayla is a second generation Durangoan and loves the endless outdoor activities it has to offer. She will make any excuse to get outside to hike, camp, snowboard, dirt bike or anything of the sort. Spending so much time outside has allowed her love of animals to grow into the rewarding career she now has. She is currently enrolled in a Veterinarian Technician program and plans to graduate in the near future. She has spent over 3 years in the field and is eager to see what else she can learn. While not at the clinic she teaches classes at local dance studios and spends most of her time with her Rottweiler, Alaric. Being able to provide the best life for Alaric and coming home to his affectionate kisses everyday is what she lives for. Hi my name is Erika! I've been in the 4 corners area for several years and am happy to call it home. I'm currently in school to become a vet tech and am so excited and happy I get to study under all the staff at Aspen Tree. I have 3 dogs of my own who I love dearly - Taco, Molli and Bentley. My goal is to grow as an experienced member of Aspen Tree and one day have my own senior pet rescue. Thank you Durango for welcoming me to your home. I grew up in the Czech Republic and graduated from Palackeho University with a degree in teaching. I have always been surrounded by animals. 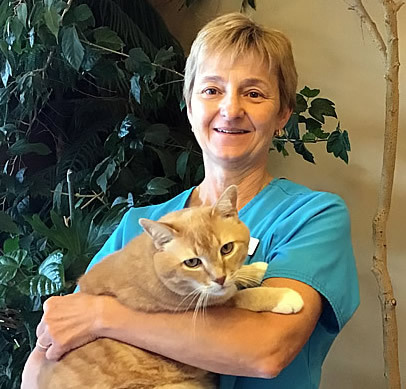 When I moved to Durango in 2016 I was lucky to join the awesome crew at Aspen Tree Clinic after working at a small veterinary clinic in the Czech republic for several years. I love my Russian Blue Cat very much and my coworkers call me a cat whisperer. Thank you Durango for being so welcoming.